to make managing your business even easier. Are you using more than one service to manage your contact lists, track your appointments, or create financial plans? With Vision Financial Marketing you can stay on top of everything in one convenient place. Finding new sources of income is made even easier by a robust opportunity tracker. Dashboard shortcuts allow you to quickly add just about anything in the system. These tools make tracking and organizing your business activities easier than ever. See your important pending items at a glance to get a jump start on your day. 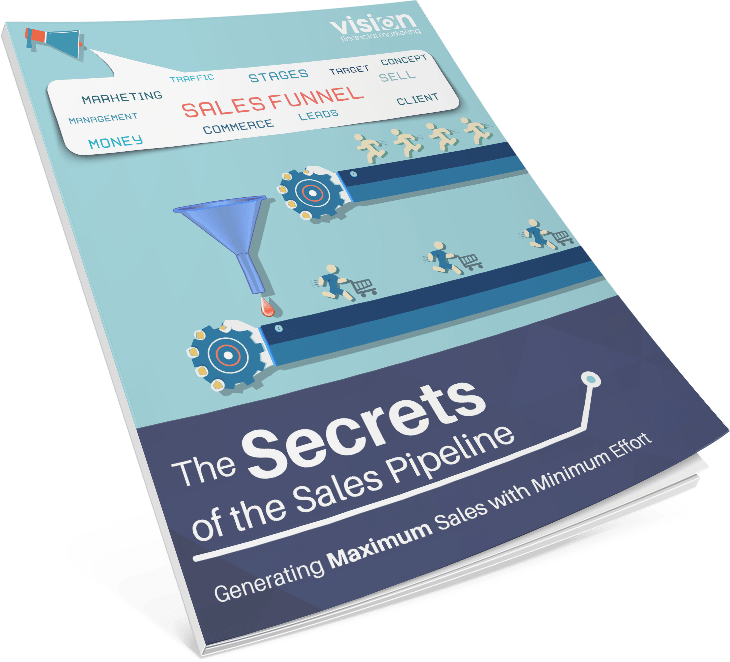 A quick track of your sales pipeline shows you what future business you have in waiting. Never fall behind on keeping in touch with your contacts again with our system. Have an elaborate onboarding process, or just need to keep in touch? Maybe you have a series of contact methods you use for prospects. Simply set it up once, and add your contacts. Never miss that important meeting or that call with your new client. 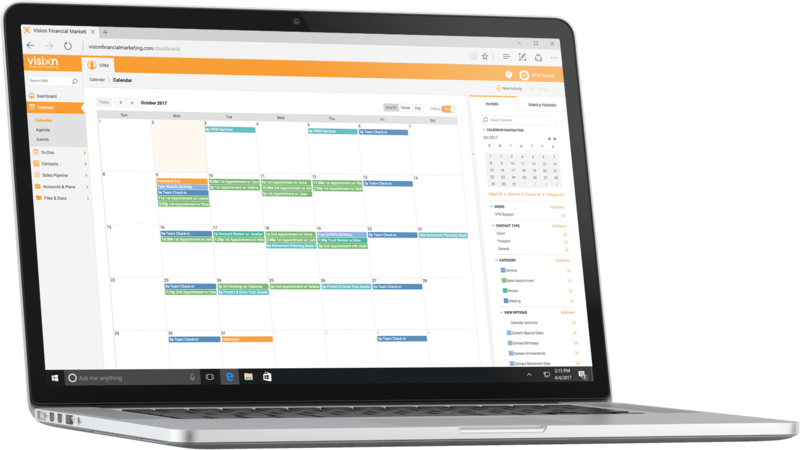 You’ll be amazed how organized you’ll be with calendar activities designed for the financial professional. Account information, personal details, when the last time was you emailed them about their dog. Every touch will be more relevant, and with dynamic lists, your marketing will never be the same. Can’t remember what your client brought up during that meeting 3 months ago? With all of your notes and every interaction readily available, you won’t have to worry.